With the wide and varied styles and themes of today’s weddings finding a cufflink to match your tuxedo or wedding theme is not a difficult task. Since weddings are formal affairs, most grooms want to stand out and look their best as much as the bride. Diamond cufflinks were the traditional choice for many grooms for the greater part of the last century. However, the times change just like weather and so do cufflink trends. Today’s grooms and groomsmen have an extensive selection of how to adorn themselves for the big event. Matching your wedding cufflinks to the flower colors, the wedding theme or even your own personal interests is perfectly acceptable for the modern groom. From extravagant diamonds and gemstones set in gold, platinum, or silver to the inexpensive novelty cufflink that shows off your love of sports, fraternal organizations or even your favorite TV show, anything goes. It is your day after all and you get to make the rules. Engraved cufflinks are an ideal gift to give the man in your life that has everything; they can be engraved with his initials or a personal message. Engraving cufflinks is a very affordable way to make your gift very personal and look stunning at the same time. They will give meaning to both you and the person receiving them and they are a timeless gift that you can wear over and over. They are a perfect way to match all of the men, and by having the date of the wedding engraved on them they will always remember that special day. 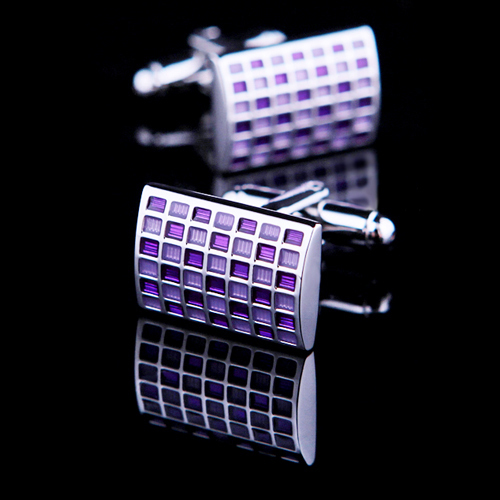 You will be able to wear engraved cufflinks for every occasion and be proud you are wearing them. Engraved cufflinks fit the bill very well – they look elegant, sophisticated and reflect the personal style of the man wearing them. Sterling silver or silver cufflinks are a very popular choice for weddings. The selection available is wide and prices vary according to the design, embellishments, and manufacturer. Monogrammed or initial cufflinks are a classic choice that never goes out of style and pair well with many different looks from business to casual. No matter your personal style, you are sure to find silver cufflinks or sterling silver cufflinks in a style you like. Knot style cufflinks are classy for any occasion. 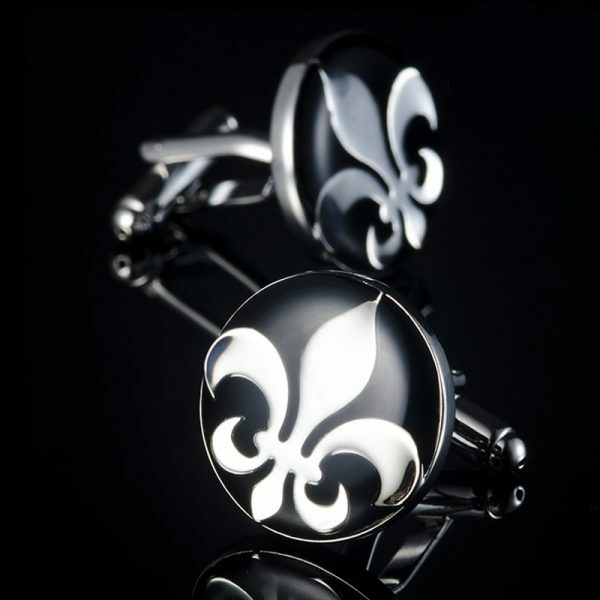 For a modern look, classy swivel back style cufflinks provide a sleek look. Go retro with silver and grey cufflinks or consider going back in time with vintage silver cufflinks embedded with sapphires or even diamonds. Yellow gold cufflinks look wonderful with suits in shades of brown, while white gold is the preferred color for gray and charcoal-black tuxedos or suits, many cufflink sets have colored stones to match your wedding attire although. You can also match your Gold cufflink with your tie pin to create an even more elegant touch. Gold engraved cufflinks are also an ideal wedding present for either the groomsmen or best man and the groom. Understated and elegant, there is something mysterious about a man with black onyx cufflinks. Onyx has a depth and reflectivity, and workability that other black materials do not. For that reason, it is also the most common stone found in cufflink design. 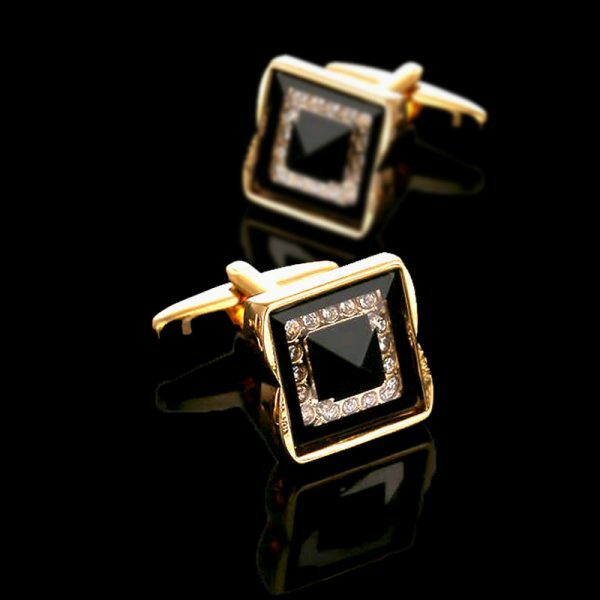 Although onyx cufflinks can be expensive there are plenty of lesser expensive black cufflink options available. Black crystals set in silver plated settings can look just as attractive as the real thing at a fraction of the cost. For those budget-conscious buyers, choosing similar looking black cufflinks with a plated finish can enhance your wardrobe until you can upgrade to the more costly real thing. 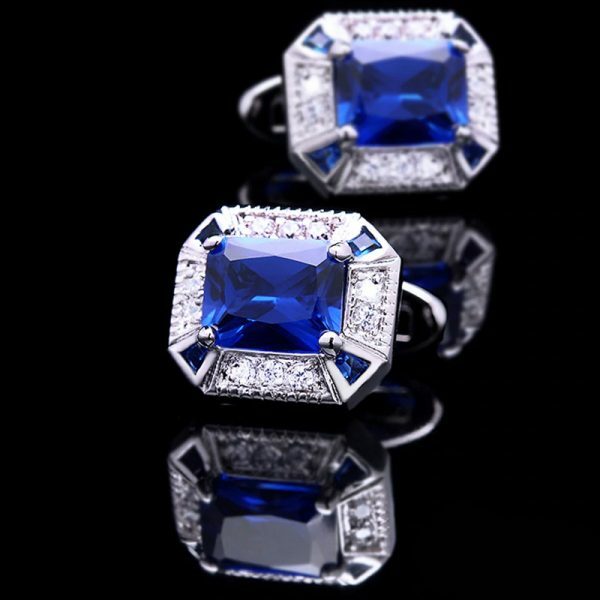 Cufflinks are a timeless piece of jewelry that looks great on any man, the most elegant style to purchase is diamonds. 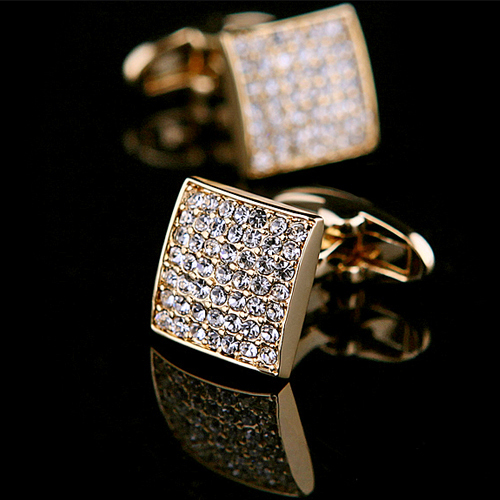 Diamond cufflinks epitomize wealth and status. While they might not suit every occasion, diamond cufflinks can make a big statement. 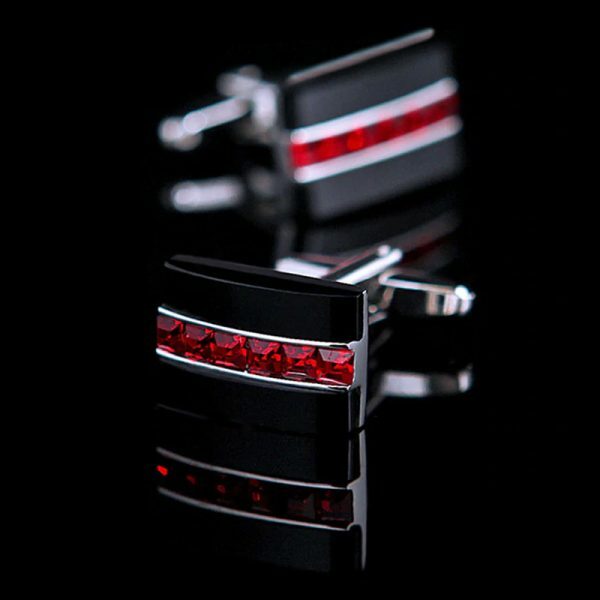 This style of cufflink looks amazing and can add a touch of elegance to your outfit. You can buy diamond cufflinks from many jewelry stores and they will be able to advise you which ones will look best with your suit or tuxedo. Researching the different styles of cufflinks is important as they are often set in different bases. Deciding if gold or silver will work best for you is important. Price may play a factor in this as well since they vary greatly. Another truly great wedding style of the cufflink is the silk knot. Thin pieces of silk are used to form balls attached by a central piece of silk like a barbell. They come in a wide assortment of colors and perfectly balance casual and formal attire. Whilst some may argue that they would not be proper to wear with a tuxedo to a wedding, they would be fine to wear to the workplace with a good suit. And of course, they are perfectly suited for jeans and a casual dress shirt, maybe even with a sports jacket. Silk knots are also less expensive than metal cufflinks. These days, cufflinks can be worn as a luxury accessory but they can also be casual and quirky. For instance, several jewelers make cufflinks in the shape of globes, golf clubs, or skull and crossbones. These novelty cufflinks can be an ideal way to ‘funk’ up an outfit. 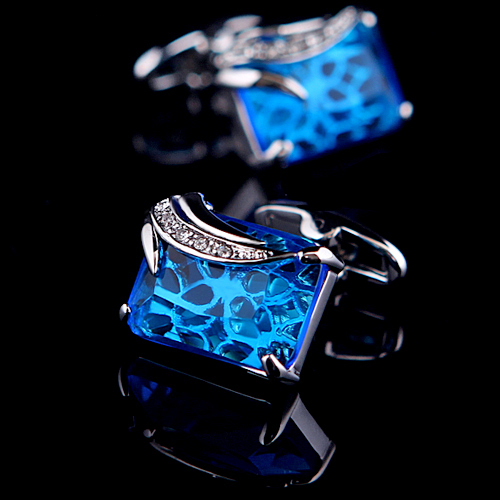 Novelty cufflinks are often produced of more affordable metals like silver. As a result, virtually everybody can afford to sport an entertaining piece of jewelry- if that’s their style of course. They also make great gifts. Novelty cufflinks have a limited amount of wear time and after a while, they will lose their fashionable status. Mother of Pearl cufflinks are classic and elegant and work beautifully to complete a light suit, dark shirt combination. Typically found set with sterling silver, mother pearl also known as nacre, organic material made by inner shell layer, it also make the outer coating of pearls and has been used to bejewel cufflinks for a decade.